VTU Result 2018-19 – Visvesvaraya Technological University, Belagavi has released the result of the UG, PG semester exam conducted in Dec/Jan 2018-19. Students can check VTU CBCS, Non-CBCS Result from this page. VTU Result can be checked by providing the USN. Students can check the total credits, credit points, and remarks (Pass/Fail). It is advised that the result published online is provisional. The University will provide the final mark sheet to all the students who appeared for the exam. A student will be declared to pass the exam if he/she secure the minimum required credit. Check the page for VTU Result 2018–19. 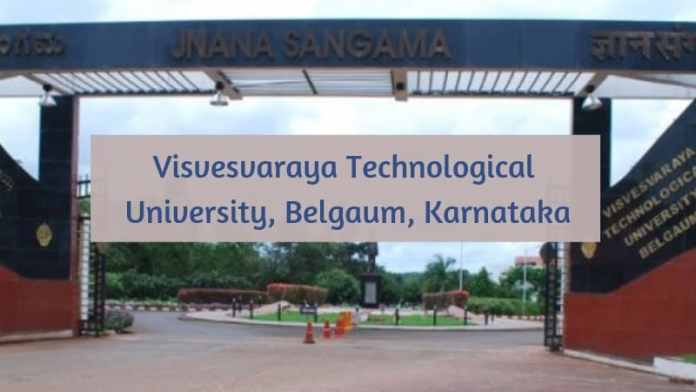 Latest: Visvesvaraya Technological University has released the result of M.Tech (part time) (CBCB & Non-CBCS) 1st to 6th sem for all-region the exam. The promotion of the students to the next semester will be based on the university regulations. If students fail in a paper then he/she has to clear that paper in the next end semester exam. Students not satisfied with the marks secured in the exam can apply for the revaluation of the answer script within the date prescribed by the university. Check the table for VTU Results. Result: Students can check VTU Result at official website, www.vtu.ac.in. How to check VTU Result 2018-19? Visit the official website of VTU at vtu.ac.in or click on the “click here” in the above-mentioned table to check the result. Click on the result section mentioned on the official website. Under the Dec/Jan exams column follow the link that says “Click here for Non-CBCS Results”. Download the results and take a print out of the same for further reference. Check the printed details on Visvesvaraya Technological University Result. Students who appeared for the university exam and not satisfied by the marks secured in the exam can apply for the revaluation of the answer script. The University will allow the eligible student to apply for the revaluation of the answer script. Students can submit the revaluation form online. The revaluation form should be submitted on or before the last date. No application will be accepted after the last date. The University releases the revaluation result online. Visvesvaraya Technological University conducts the examination in the semester mode. The semester exam is held in the month of June/July and Nov/Dec. A student will be considered eligible to appear for the semester exam if he/she put the minimum required attendance. The eligible students have to submit the exam form and fees in the prescribed form. The University releases the exam schedules online. The university issues the hall ticket to all the eligible students. VTU Result is released online after the semester exam is over.